Is this a problem for broadcasters? You bet it is. Cable companies pay broadcasters such as CBS, ABC, NBC and FOX for the right to retransmit their shows to cable subscribers. If people can access broadcast TV at Aereo’s rates (which are far less costly than cable rates), it may mean fewer cable subscribers and reduced network revenues. According to the New York Times, the use of Aereo and copycat services has the potential to cost the networks retransmission fee revenues of more than $2 billion/year, an amount projected to grow to $6 billion/year by 2018. The broadcasters are not taking this lying down. Claiming copyright infringement they sued Aereo in federal district court in New York. However Aereo successfully defended against the broadcasters motion for a preliminary injunction before the district court and the influential Court of Appeals for the Second Circuit. * CBS has threatened to sue Aereo anywhere it offers its service, and the broadcasters are almost certain to appeal the Second Circuit decision to the Supreme Court. Simply put, this has the potential to be a nation-wide litigation free-for-all. *The case may not be over in the Second Circuit. Aereo has petitioned for the case to be heard en banc. In order to understand the copyright issues involved in Aereo’s service we need to step back and look at three cases, one of which is an important copyright law precedent from the Second Circuit, and two of which involve Aereo’s or Aereo-like technology. First, however, it is important to understand how Aereo provides its service. Imagine, for a moment, that you captured TV broadcast signals that are transmitted through the airwaves, transcoded them to make them available over the Internet, stored them on a server and streamed the shows to people who accessed a website you created for this purpose. Limited only by bandwidth, thousands of people could watch broadcast TV on their computers, tablets or smartphones by accessing your site. You would have allowed viewers to bypass cable service. And, you could allow users to watch the television shows at times convenient to them. Would this violate copyright law? You bet it would. Copyright owners have the exclusive right to public performances of their works, and you would be violating this right. The federal courts have made clear that retransmission of copyrighted television programming by streaming it over the Internet constitutes a “public performance” in violation of the Copyright Act. The broadcasters woud be able to shut you down in a New York minute. Aereo, however, makes broadcast TV available to its subscribers. And, to make matters even worse (for broadcasters), it allows them to “record” programs and watch them later – in other words, to “time shift” TV broadcasts using Aereo’s remote DVR. Exactly how it implements this is important to the legality of its service, so here goes. The technical features of Aereo’s service are unusual, to say the least. One Second Circuit judge described them as “a sham . . . a Rube Goldberg-like contrivance, over-engineered in an attempt to avoid the reach of the Copyright Act and to take advantage of a perceived loophole in the law.” (Aereo Dissent). First, rather than have one antenna to capture over-the-air broadcasts, its system allocates two “unbelievably small” (Aereo’s description) antennas, attached to antenna boards, to each customer. Each of the antennas is able to receive TV broadcast signals. 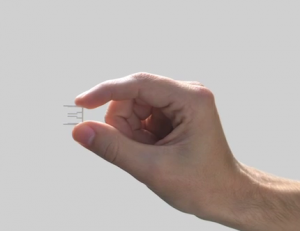 Every Aereo subscriber is assigned a pair of these dime-sized antennas to handle that subscriber’s live feeds and recordings. One antenna is used to receive a show that can be streamed to the customer in near-real time. If the customer chooses to watch the show as it is broadcast it is stored for six or seven seconds on Aereo’s servers before it is digitized and streamed to the user, so the user is watching the broadcast with a slight delay. The second antenna is used to receive broadcasts that are recorded for later viewing. Massive cloud-based storage handles the storage of TV programs for subscribers who wish to “record” broadcasts for later viewing. However, Aereo does not store a single copy of a particular broadcast. It creates a unique copy of the program for each subscriber, which is saved on Aereo’s hard drives; only the subscriber assigned that disk space or directory can access that specific copy of the program for later viewing. For example, if 50,000 Aereo subscribers are watching the Super Bowl as it is broadcast on CBS the broadcast is received by 50,000 personal so-called “watch” antennas and stored for several seconds individually on Aereo’s servers before being transmitted to subscribers. 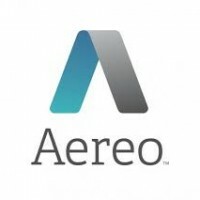 If these 50,000 Aereo subscribers choose to record the game as well, it is received by the 50,000 “record” antennas and stored on Aereo’s servers in 50,000 separate directories, each directory and recording being assigned to an individual Aereo subscriber and available for replay at the request of the subscriber. **For a more detailed explanation of Aereo’s technology, with pictures of the components, see Inside Aereo: new photos of the tech that’s changing how we watch TV (Gigaom.com). 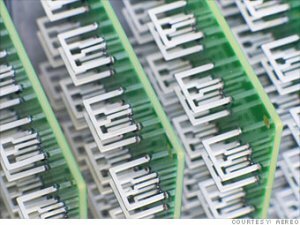 As discussed later in this series of posts, these features—the use of massive “antenna farms” utilizing small antennas and duplicative, individualized storage on Aereo’s servers—are what allowed Aereo to persuade the Second Circuit that its system was not being used to infringe the broadcasters’ copyrights. The extent to which other courts around the country, and perhaps the Supreme Court, will agree remains to be seen. My next post will discuss the Cablevision case, which gave Aereo the legal protection it needed to create this “Rube Goldberg” system, and how it used its design to claim that its service does not violate broadcaster copyright rights. Previous post: Does Second Circuit Decision Determine Copyright Legality of Aereo “Antenna-Farm” System Nationwide?